It has been an up and down February for the Friars, with a home loss by 30 to DePaul, which could have finished them off altogether, until they rebounded and took down the #3 ranked Villanova Wildcats. That win, paired with a win vs. Xavier earlier (who was #3) seemed to punch their ticket into the NCAA tournament. For much of February the Friars looked extremely sluggish, almost like they were waiting for the season to end, which did on Saturday at The Dunkin Donuts Center for Senior Day. St. John’s was without super sophomore Shamorie Ponds, which hurts not only because he scores over 20 ppg, but also because they only go about seven players deep. This was a blessing in disguise for the Friars, who could not afford a loss at home heading into the Big East Tournament. The Friars took care of business beating the Johnnies 61-57 to finish Big East conference play with 10 wins. The 10 wins had them locked into a three-way tie with Creighton and Seton Hall, matching them up with #4 seed Creighton on Thursday at Madison Square Garden. The Friars went 1-1 versus Creighton this year losing by 19 in Omaha and then beating them by 15 at The Dunk at the end of January. The Blue Jays are led by Big East 1st and 2nd Team Selections, Marcus Foster (20 ppg.) and Khyri Thomas (15.5ppg.). They also have a great coach in Greg McDermott, who has helped Creighton make a seamless transition into the Big East since joining in 2013-2014. The Blue Jays have gone 2-3 in their last five games, losing to Marquette twice, but also beating #3 Villanova as well. The Big East has been a Royal Rumble over the last month with everyone getting big wins and taking big loses too. I am sure most teams are happy to end the regular season and get to Madison Square Garden for tournament play this week. Most players wait their whole lives to play on the big stage of Madison Square Garden and some shine more than others. Who will step up for these two teams? We will have to wait until Thursday, but until then, here are 10 keys for the Friars to focus on to get the win and move on to Friday night. KYRON!! – Will the real Kyron Cartwright please stand up! Providence’s leader has had an up-and-down season, which by looking at his stats, it’s not that noticeable. He had some early injuries that hampered some of his play, but he still led the Big East in assists per game at 5.8. Cartwright was a Big East 2nd team selection last year, and he was relegated to an Honorable Mention this year as a senior. Will this put a chip on his shoulder? Friar fans who have watched him grow over the last four years know what kind of leader he is when he is engaged and playing up to his potential. Coach Ed Cooley needs his senior leader to do just that, lead and take control of this game from the opening tip. He also cannot pick up any cheap fouls early like he has lately. Providence needs him on the floor for 30 plus minutes if they expect to win. Senior Leaders – I touched on Cartwright above, but there are two other seniors who play significant minutes and need to put some weight on their shoulders, Rodney Bullock and Jalen Lindsay (we still love you, Tom Planek). Last year Bullock was a 2nd Team Big East selection, which shows his play has slipped a little this year. He still leads the team in scoring at 14.1 per game, but he needs to do a lot more Thursday afternoon if the Friars want to make a run. Bullock has, at times, disappeared in games for long stretches but then he will come out of nowhere with a monster dunk to get the crowd back into the game. Look for him to be more assertive in this game. Jalen Lindsay’s face may have been seen more on the side of milk cartons in Providence lately because since his concussion, he has all but disappeared. In the last six games since his concussion, Lindsay has scored in double figures just once and is averaging just over five points per game, and is 6-27 from three (he has not connected from deep in the last two games). Look for Coach Cooley to try and find him clean open looks early to help get him going. Control Foster – Foster is the leader of Creighton and if they are going to win, he needs to have a big game. He is a 6’3 guard who can fill up the box score. For the Friars to contain him, they need to continually switch up the defense on him to keep him uncomfortable and off balanced. Luckily for the Friars, they have three guys who they can rotate on him that are are all athletic and longer too: Alpha Diallo is 6’7, Bullock is 6’8 and Lindsay is 6’7. They can even bring in back up guards Maliek White and Makai Ashton-Langford (both 6’3) to add more pressure on him. The Bench – Friar fans know Isaiah Jackson is the 6th man, but Coach Cooley has been reluctant to really trust his bench from game to game. The Friars may be without Kalif Young, who rolled his ankle on Saturday, so the bench may be even leaner. 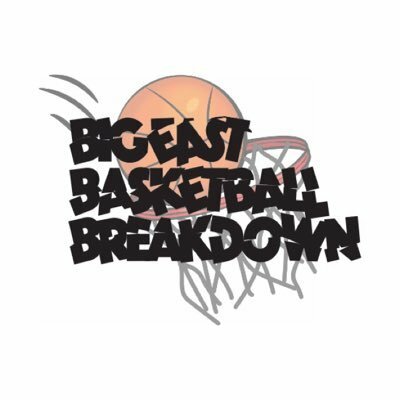 With Watson possibly being inserted into the starting line up, look for Coach Cooley to call on Maliek White for a spark. Drew Edwards has also had some streaky minutes this season, mostly called on during offense/defense substitutions at the end of halves. Ashton–Langford has shown he can handle the defense in the Big East, but he is still years away on the offensive end. Unleash Maliek! – Maliek White has been without a doubt the biggest spark off of the bench for the Friars in recent weeks. He seems to be the only one to get to the basket and draw fouls. Since the win vs. Villanova, White has produced when Coach Cooley calls his number. Against #3 Xavier, he had 15 points in 21 minutes. Versus St. John’s on Saturday, he scored six points in 13 first half minutes off of the bench. He only had three second half minutes, but it showed that Coach Cooley had trust in him late in the game when the Friars needed some help with St. John’s pressuring the ball. He was also 2-2 from the line. White is clearly the spark the Friars can and should use off of the bench because of his speed and ball-handling skills. He can also hit the three too, which will help Providence spread the floor. And-1 defense – This is something that I have been harping on for weeks now. The Friars easily lead the nation in allowing these (not sure if true, but it seems like it if you have been following this team). In my opinion, it is lazy defense and many of these opportunities come when the Friars are sleeping and/or have late rotations on defense. They then decide to make a slap at the ball instead of moving their feet and making a defensive play, thus letting the opponent finish with the chance for the “And 1.” If Young cannot play on Thursday, other Friars are going to have to step up and help Watson down low. Watson cannot afford to get in early foul trouble so Planek may get some minutes and have to use all five fouls. Development of Nate Watson – Ben Bentil leaving for the NBA two years early and Emmitt Holt redshirting this year has been a blessing in disguise for Nate Watson and his development. (Do not get me wrong, I wish both of those guys were suiting up for the Friars on Thursday) But with them not playing, it has led to Watson improving from game to game. In the loss versus Creighton, Watson got the start and played 20 minutes going 7-11 from the field (6-7FT) to give him 20 points. The second game was a little different seeing Creighton’s big man, Martin Krampelj, was out with an ACL injury, Watson and Young combined for only 24 minutes total. Look for Coach Cooley to get him the ball inside early to see what Creighton does on defense to stop him. Hopefully this will open up an inside/outside game that the Friars can capitalize on from behind the arc. Press Breaks – I am not sure how much Creighton presses (if at all) but this is one thing that the Friars need to practice this week. Over the last few weeks, the Friars have seemed absolutely clueless when teams have come out of timeouts or started to press after made baskets. On Thursday, they cannot afford to throw the ball away and give up easy buckets off of turnovers. Coach Cooley and his veterans need to understand these situations. If the Friars do not have the correct players on the court to break the press, use a timeout! That is what they are there for. Too many times this season the Friars have thrown the ball away instead of calling a timeout to drawing up a play or to add another ball handler into the game. Spotlight on Coach Cooley – Coach Ed Cooley has pushed the Friar Men’s Basketball program in the right direction since he took over in 2011, registering a record of 142-92 with four (hopefully five) straight trips to the NCAA’s. Every Friar alumni and fan has faith in Coach Cooley to lead this team and he deserves all the praise and accolades he receives. His players love to play for him and he seems to be a extremely loyal coach as well, which has almost hurt this team at times. If things get out of hand early for some of Providence’s starters, Cooley has to be able to pull the substitution trigger quicker than usual. If Lindsay cannot get going or Bullock is sluggish from the start, Cooley needs to make some subs to add some sparks. We all appreciate loyalty, but I am sure the Friar Faithful would enjoy a “W” instead (I know I would). Take Care of Business – I am sure Louisville was looking ahead last week when they were up by five points against #1 Virginia with 11 seconds left. Coach Cooley must make sure his players are not looking ahead of what is directly in front of them on the court. As of now, most NCAA Bracketolgy predictions have Providence in the tournament. Anyone who follows the Big East and is loyal to the conference knows that most of the analysts are still somewhat biased towards it. They do not view the “new” Big East as a strong conference even though as of now, they will have two #1 seeds. Providence controls it’s own destiny and the only way for the Friars to punch their ticket into the NCAA’s is to play a full 40-minute game and win. The Friars have been known to take the foot off of the pedal, which they showed on Saturday when they were up by 14 in the second half. This team cannot get cocky or else they may end up in the NIT instead of playing on Friday night and beyond.